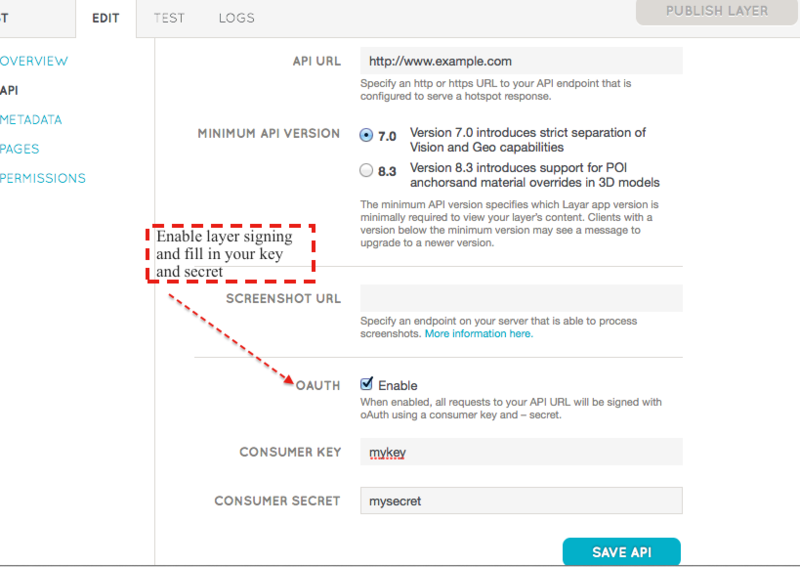 On the publishing site, we need to enable OAuth signing under the API endpoint tab. Once OAuth signing is enabled on the publishing site, oauth parameters will be passed through the getPOIs request . Twitter has a great introduction to how OAuth works when accessing an API. The official OAuth specification can be found here. You need to implement 2-legged OAuth signing in your web service. There are many open source libraries for all kinds of languages that implement OAuth for you. A good place to test your OAuth library or implementation is the OAuth Sandbox.